Welcome to week two of five in our series on #CareerReady skills. These are professional development skills that most 21st century jobs require. This week, it’s all about Creativity! Let’s start by defining this word because goodness knows we’ve heard it being used a bazillion times a day. As you see, the root of the word is “create”. So, creativity at its heart is about using your imagination or original ideas to create something. Each of us has this innate ability within us — don’t let anyone tell you otherwise. We just might not be able to come up with original ideas because we’re out of practice. That’s right — creativity is a skill that can be learned and improved upon just like swimming or biking. Creativity is a great skill for all careers and especially for coders. First, coding is a craft unlike many other professions — there usually isn’t one right way to solve the challenge. There are in fact many right ways to solve the challenge. Second, when you’re coding, you’re usually building a solution that hasn’t been built before. You’re creating something new. As a programmer, you’re constantly tapping into your creativity skills, without even realizing it! 1. Exercise. Numerous studies have shown that even a moderate amount of exercise (30 minutes of brisk walking, 3 times a week) can stimulate the brain and help you think creatively. Of course, the more you exercise, the better. And while we’re on the topic, be sure to get the recommended 8 hours of sleep every night. Yes, I said every night. 2. Get bored. Give yourself moments of downtime, away from social media, away from your computer. Sit in a park and people watch, laze on your couch and gaze into nothing, take a long walk aimlessly. When you’re not constantly bombarded with information, your brain will wander off into areas you’d never expect. 3. Old ideas, new connections. Creativity is about making new connections between existing ideas, something Steve Jobs always talked about. For example, a solar panel works on the biology of leaves (hat tip to Frans Johansson, a leading author, speaker and entrepreneur on creativity and innovation for giving us this example). One of my personal favorites is to read about kitchen hacks, because it’s something universal and super helpful! And of course, very creative. 4. Read, read, read. We have mentioned this one in our post on Critical Thinking but it applies here as well. Browse websites, magazines, books, anything you can lay your hands on to understand what’s going on in the world, gather opposing ideas, context and opinions. 5. Learn something new every once in a while. It could be a new language or a new instrument, although it doesn’t have to be that drastic. Think of something small you can do every day. Maybe try a new route to work or learn the lyrics to a new song or a watch a new documentary. The idea is to expose your brain to new things all the time which will spark new ideas. 6. Travel as much as you can. It can be a weekend road trip or a few months off abroad. Try and travel as much as you can and to places you wouldn’t think of traveling to (as long as it is safe, of course). You can learn many new ideas from a different culture and learn new ways of doing things. Creativity is an important skill to have in your career and just life in general! It will keep you more fulfilled, it will lead down paths you never thought you’d go, it will enrich you. Remember, everyone is creative. You are creative, I am creative, we all are. So tomorrow, try a different route to work or school. Try that art class you’ve always wanted to. Dust off the guitar and start learning. These little things will go a long way in helping you come up with new, ingenious ways to solve problems. And finally, we want to hear from you! Tweet @SPICEDacademy using the hashtag #CareerReady and tell us how you’re teaching yourself #CareerReady skills or how you’re already applying them in your everyday life! If you’re interested in learning how to code in a great city, explore SPICED Academy in Berlin today! 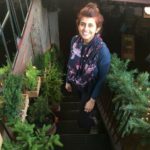 Shilpa Melissa Rodrigues is Director of Programs and Community at SPICED Academy. Originally from New York, she now calls Berlin home. Her goal is to hike the Berlin 66 Lakes Trail one day.